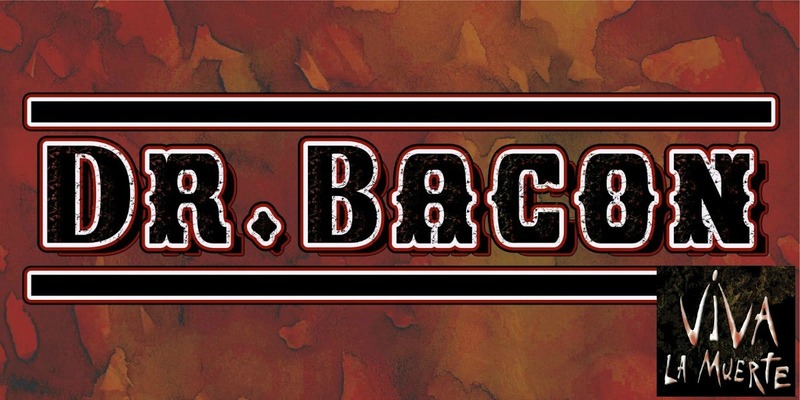 DR. BACON is a 7 Piece touring Appalachian Funk, Grass and Rock & Roll band. Blending incredibly diverse instrumentation with broad, deep musical influences, allows the band to perform a plethora of widely accessible, danceable music. The Dr. Bacon Live Experience is truly a spectacle to behold, bringing the audience on a musical Journey that lulls and spikes in energy, caressing ears with lush beauty and whipping crowds into a tribal romp, shaking booties and shedding inhibitions. This manic versatility ensures that no matter what genre of music you identify with most, you will hear something that resonates. Dr. Bacon started playing together in 2012 on King Street in Boone as a 3 piece busking with acoustic bluegrass, folk, and 90s pop/rock/hip-hop influenced music. Several lineup changes over the years and a move to Asheville have refined and redirected the band’s sound, incorporating funk, rock, soul, psychedelic and world music to Appalachian influences. The blending of several elements of these genres (often within the same song) along with unique instrumentation is the real Bacon flavor. Viva la Muerte is a spiritual walkabout, from the front porch to the desert to the magnolia, thoughtful music that doesn’t forget to have fun. In 2016, VLM again reached out to their fans and again raised more than $10,000 for the production of their second album, “The Eyes of Men.” They have just begun work on number three. Tickets are $7 in advance, $12 day of show. NC Sales Tax is included in the ticket price.